Lola Hudson Driggers, lovingly called "Mema", passed away to her Heavenly home on April 5, 2019 at the age 94. She was a daughter of the late James and Rosa Hudson, born January 25, 1925 in Chesterfield County, South Carolina and the loving and devoted wife to the late Claude Driggers. She retired after many years of service as the owner of Community Grocery and in sales with B.C. Moore’s Department Store. Lola was as a faithful member of the Westside Baptist Church where she formerly served as a Sunday School Teacher. She loved children, cooking and baking, and watching cooking shows. Her greatest treasure was the love of her family and she will forever be missed. She is also preceded in death by all of her siblings, James Hudson, Henry Hudson, Margaret Patterson, Anna Lee Hudson, Mary Lou Hudson and daughter-in-law, Shirley Driggers Simmons. 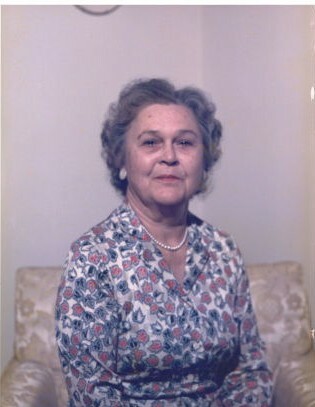 Lola leaves behind her sons, Sonny Driggers and wife Amy of Cheraw, SC and James C. Driggers of Clio, SC; grandchildren, Jeffrey and Tina Driggers, Kim Driggers, Paula Driggers, Stephanie and Chad Farber; thirteen great grandchildren, five great-great grandchildren along with her many nieces and nephews. Funeral services will be 3:00 p.m. Tuesday, April 9, 2019 at the Richard Boles Funeral Service Chapel with burial following in McLucas Cemetery. Visitation will be prior to the service on Tuesday from 2:00 until 3:00 p.m. at the funeral home. The family requests for memorial donations to be given to her church, Westside Baptist Church, 17361 Fieldcrest Road, Laurinburg, NC 28352.